Lauren was born in 1992, and graduated in 2014 from the University of Nottingham, where she studied Chemistry and Physics. She started writing during secondary school, because she couldn’t stop thinking about a couple who kept falling in love throughout histor y. She sold the rights to the novel when she was 21, whilst still at university. The Next Together was longlisted for the Branford Boase Award. 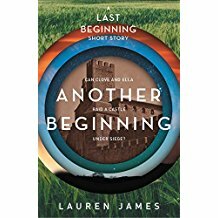 Two short stories set in the world of The Next Together series, Another Together and Another Beginning, are also available. The Loneliest Girl in the Universe was inspired by a Physics calculation she was assigned at university. Lauren is a passionate advocate of STEM further education, and all of her books feature scientists in prominent roles. 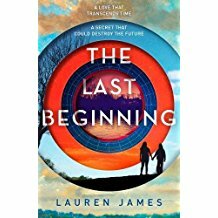 Lauren is published in the UK by Walker Books, in the US by HarperCollins and in translation in five other countries around the world. She lives in the West Midlands and is an Arts Council grant recipient. She has written articles for the Guardian, Buzzfeed and The Toast. 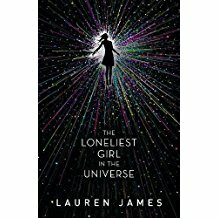 The Loneliest Girl in the Universe: Can you fall in love with someone you’ve never met, never even spoken to – someone who is light years away? Romy Silvers is the only surviving crew-member of a spaceship travelling to a new planet, on a mission to establish a second home for humanity. Alone in space, she is the loneliest girl in the universe until she hears about a new ship which has launched from Earth – with a single passenger on board. A boy called J. Their only communication is via email – and due to the distance between them, their messages take months to transmit. And yet Romy finds herself falling in love. But what does Romy really know about J? And what do the mysterious messages which have started arriving from Earth really mean? Sometimes, there’s something worse than being alone. 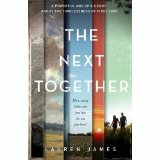 The Next Together (sequel The Last Beginning): Katherine and Matthew are destined to be born again and again. Each time their presence changes history for the better, and each time, they fall hopelessly in love, only to be tragically separated. How many times can you lose the person you love? For Matthew and Katherine it is again and again, over and over, century after century. But why do they keep coming back? How many times must they die to save the world? What else must they achieve before they can be left to live and love in peace? Maybe the next together will be different.